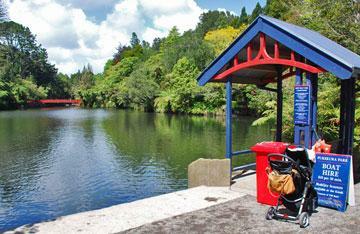 Taranaki is one of those locations in New Zealand that deliver more than they promise. Not part of the tourist circuit, most of the activities and places to stay focus on providing a great experience for those who live there. It would be fair to say that New Plymouth is well-known for its gardens and the annual garden festival in November. Both the district council and other volunteer organisation have worked hard to make them just stunning - places for local families, and garden ethusiasts to enjoy. And the parks can be fun places, where you can go for a row on the lake, or take children to a free zoo. Pukekura Park has a soundshell for outdoor concerts, and is host every year to the 3 day Womad festival. 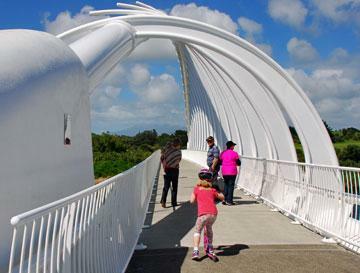 This carries through to the broad New Plymouth Coastal Walkway, which winds its way along the coast and through public reserves and features the eye-catching Te Rewa Rewa bridge across the Waiwhakaiho river, and was designed to frame Mount Taranaki as you look back through it. 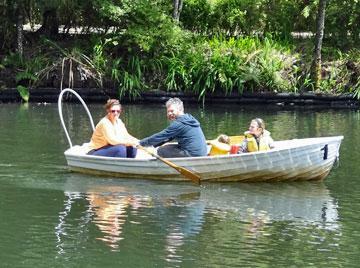 The Lake Rotomanu Reserve nearby is a place for locals to play, with jet-boating, and water skiing popular activities on a sunny weekend. And the whole area is motorhome friendly, with a variety of places where self-contained vans can park overnight, and plenty of choice for holiday park accommodation as well. 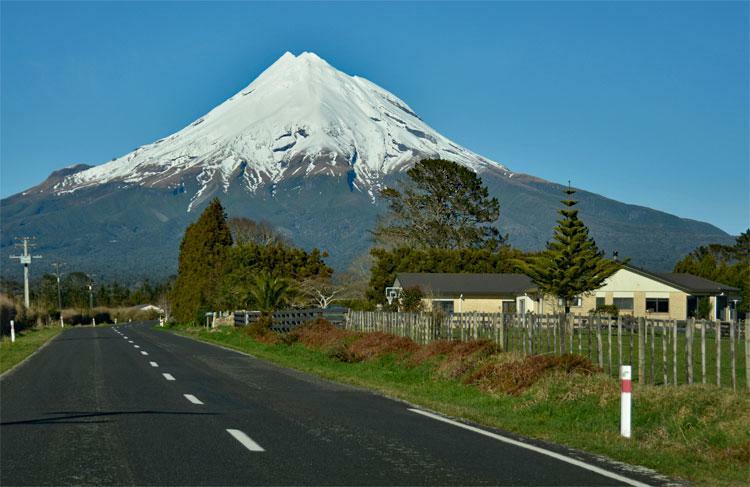 Check out the different locations we visited and plan your own trip to Taranaki. You can also use the Trip Planner Map to see where each location is. Taranaki is one of our favorite locations, and we feel that we've only just scratched the surface. In the six days we were there we only really covered the New Plymouth district, and have yet to have a good look around South Taranaki and Stratford.